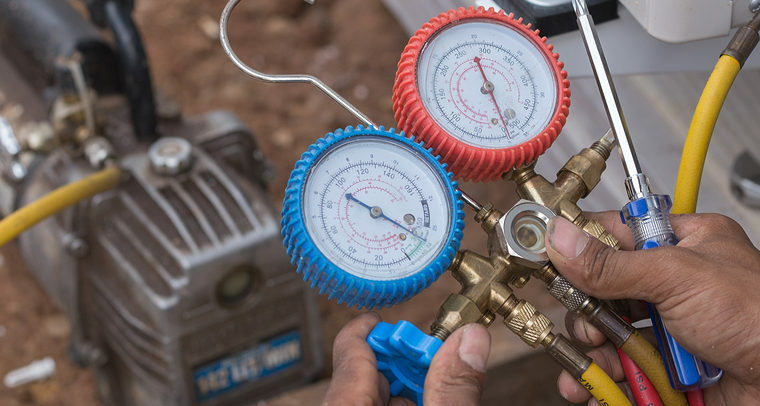 Armstrong Plumbing, Air & Electric is the area’s leader in HVAC repair in Lubbock, TX, in addition to providing services for new installations and preventative maintenance. Our expert service technicians can service all major brands, makes, and models for both residential and commercial customers, and we are a factory-authorized dealer for Lennox equipment. We have the experience, the tools, and the knowledge to deliver accurate, thorough, and careful service whenever you need us – any day, any time. Whether you’ve been considering repair or replacement for your system or you need brand new installation service, Armstrong can help; we offer free estimates for HVAC in Lubbock with no commitment and no obligation. We design and build a wide variety of HVAC systems for many different applications and uses, so if you’re looking for a custom design and installation, look no further than Armstrong. We know how important your climate control system is for your home or business; trust our experts to keep you comfortable and safe all year. Since 1934, the residents of Lubbock and its surrounding areas have trusted Armstrong Plumbing, Air & Electric for all their HVAC needs. We regularly run special promotions, deals, and opportunities to save even more money than usual on our services including our coveted Armstrong Service Agreement Plan (a.k.a. ASAP). When you choose Armstrong Plumbing, Air & Electric for your repair or replacement, you’ll not only save hundreds or even thousands of dollars, but you’ll also gain the peace of mind that comes with knowing that your system is backed by the finest HVAC company in Lubbock. Contact us today to schedule your appointment for furnace maintenance, repair, or replacement. Armstrong offers free estimates with no obligation, so don’t wait another day to discover how affordable quality heating and air conditioning in Lubbock can be.